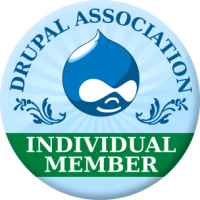 There are thousands of contributed Drupal modules on Drupal.org, so it may be tough to find the right Drupal module for what you need to accomplish in your Drupal project. This can be especially frustrating if you are new to Drupal and aren't sure what you are supposed to be looking for. Below I have compiled a list of the top 100 Drupal modules according to usage statistics from Drupal.org. This should give you a solid list of Drupal modules to get started with. Our Top modules list has grown to over 100 modules at this point, so if you are looking for more modules specific to your version of Drupal, please check out the Drupal 6 modules and Drupal 7 modules pages. There you can find more information on Drupal modules specific to your version of Drupal.